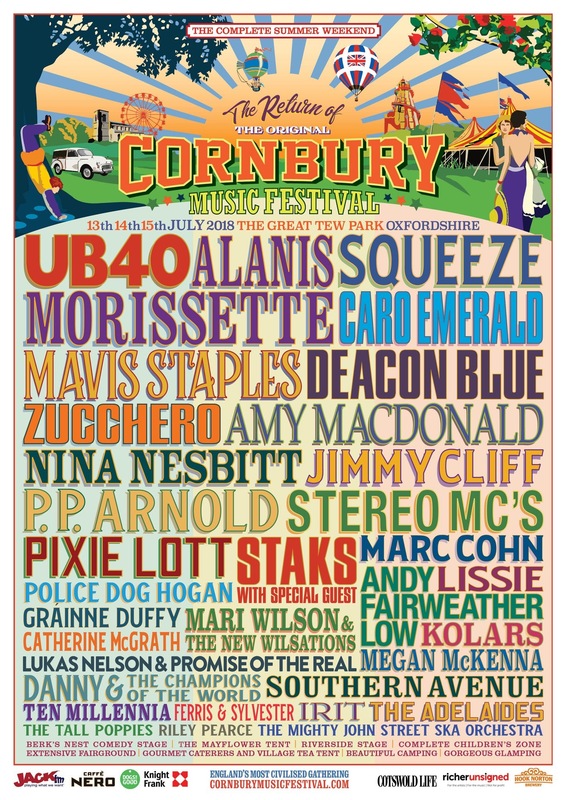 Cornbury Festival just keeps getting better and better. Over the years this wonderful family festival have played host to a wide variety of country music artists across the globe and have continued to show their support for the genre this year. As if the star studded all female line up on the saturday which includes rising UK trio The Adelaides and Megan McKenna wasn’t enough, we now have the delightful Irish starlet Catherine McGrath who is perfect for the Cornbury line up and will undoubtedly wow the crowd. Catherine is a young country pop star who has been a very busy girl the last few years. Playing festivals such as C2C and British Summer Time last year, Catherine has also supported major US country artists such as Dan + Shay, Canaan Smith and many more. Signed to Warner music, Catherine has released two EP’s One and Starting From Now and has recently released singles Talk of This Town and Thought It Was Gonna Be Me. Catherine is currently working on her debut album which she has been writing for in the UK and Nashville. Catherine will appeal to fans of an early Taylor Swift as well as lovers of well written music. Also on the line up is our favourites Lukas Nelson & Promise of The Real. Son of Willie Nelson, Lukas is an amazing musician with such a powerful vocal and his recent self titled album Lukas Nelson & Promise of The Real was ranked as one of our favourite albums of 2017 alongside his fathers album Willie and The Boys which Lukas and his brother Micah were a part of. Lukas and his band will captivate the Cornbury crowd and I am not sure they have ever had an artist quite like them. Their Americana/Country-Rock sound is also soulful and edgy and will shake the grounds of Cornbury in the best way. The Line up also includes another artist that we feature a lot Danny & The Champions of The World. This phenomenal Americana band had quite the year in 2017 with a highly successful tour, a critically acclaimed album Brilliant Light and Americana Award nominations. Danny and the Champs are another perfect addition to the Cornbury line up as have something for everyone. Their energetic stage presence will get the crowd going and they certainly aren’t a band to miss. It is almost like Cornbury has catered just for us because UK duo Ferris and Sylvester are also on the line up and are yet another artist we have featured on numerous occasions. Ferris & Sylvester are all kinds of wonderful. Their stunning harmonies will ‘Wow’ the crowd and their compelling, americana music will gain them an even bigger fan base than they already have. Ferris and Sylvester have two EP’s out The Yellow Line and Made in Streatham and have been receiving a lot of praise across major media publications and radio. Oxfordshire’s much loved Cornbury Festival is making its unexpected return a truly international affair. Following last weeks all female announcement for Saturday 14th July with Canadian Headliner Alanis Morissette. UB40 will be topping the bill on Friday 13th and long-time festival favourites Squeeze will be closing the party on Sunday night. Deptford royalty Squeeze will lead the home counties pack on Friday with Bromley girl Pixie Lott on Saturday, Essex star Megan McKenna, currently smashing the country music circuit will be bringing some TOWIE glitz to this year’s festival, joined by North London 80’s queen Mari Wilson & The New Wilsations, whilst South London hip hoppers Stereo MCs will be keeping it real and getting connected with the country folk on Friday 13th. Local Oxfordshire blues band Danny & The Champions of The World and house band STAKS with a very special local guest (if he’s not been caught by the fuzz)! Complete this year’s unique line up! Weekend tickets (from) — £180 Adult, £215 with camping, £95 young person or over 70, £125 with camping, £30 child, £35 with camping. VIP options also available.